This age of very aggressive Conservatism and Neo-Liberalism (capitalization on purpose), venturing into the undemocratic, provokes a contradiction, maybe even a surprise for Canadians. This type of Conservatism and Neo-Liberalism is so ably demonstrated by Doug Ford and his government and by (hopefully never to be) “would be” leaders like Jason Kenny and Andrew Scheer as well as others already sitting in power or only a whisper away from the seats of political power. The genesis of this contradiction between these political styles and the fundamental building blocks of civil society in Canada is found by looking back over a variety of news releases, op eds, surveys, entertainment sources and even pseudo games (such as picking the greatest Canadian) and the evolving of harsh political philosophies. The news releases, op eds, surveys, entertainment sources and picking the greatest Canadian often refer to the building blocks of Canadian society. Building blocks that strongly tilt to the collective good and a sense of fair play that stand firm in opposition to the profoundly mean-spirited government and the governing by degradation such as that of Doug Ford and his ilk. It is worth defining one of these building blocks in the terms of the vitriol of the political “right” and “right wing” media. The “right” in North America revels in linking something like a 1950’s McCarthyism definition of socialism to the legitimately compassionate and fair Canadian building block of liberal social democracy. The liberal social democracy building block is key to our Canadian identity. Such liberal social democracy, contrary to this intentionally inaccurate version as set out by the “right wing”, permits and encourages virtually everything we experience in the current social structure, while ensuring that no one is left behind. Fair and decent wages, benefits and working conditions are enshrined. Further to this, the public good is always considered. This advances public services, public ownership and the rational application of regulations and taxation to benefit the citizenry as compared to benefiting and further enriching only the rich and well off. The surprise or state of contradiction is between the adoption by so many of these aggressive political philosophies and the various sources mentioned previously and the tendency to show support for a gentler society that includes a healthy dose of liberal social democracy. The nexus of who we are as a people and what so many of us have become is in fact all about liberal social democracy. If it had not been this way Canada and Canadians, looking out for the collective good and being “my sister and brothers’ keeper”, would have been less likely to prosper and hold itself together. In 2004 Canadians vast numbers were given an opportunity to vote or select the greatest Canadian. On their surface, not all of the top ten could be labelled as socially responsible activists, but the claims to being in the top 10 in this selection process were never connected to aggressive forms of politics that destroy the rights of workers, concentrate wealth and/or damage the environment. In this context Tommy Douglas was granted the title of the Greatest Canadian. Tommy Douglas was a Canadian politician who served as Premier of Saskatchewan from 1944 to 1961 and Leader of the New Democratic Party from 1961 to 1971. A Baptist minister, he was elected to the House of Commons of Canada in 1935 as a member of the Co-operative Commonwealth Federation. He left federal politics to become Leader of the Saskatchewan Co-operative Commonwealth Federation and then the seventh Premier of Saskatchewan. His cabinet was the first social democrat government in North America and it introduced the continent’s first single-payer, universal health care program. 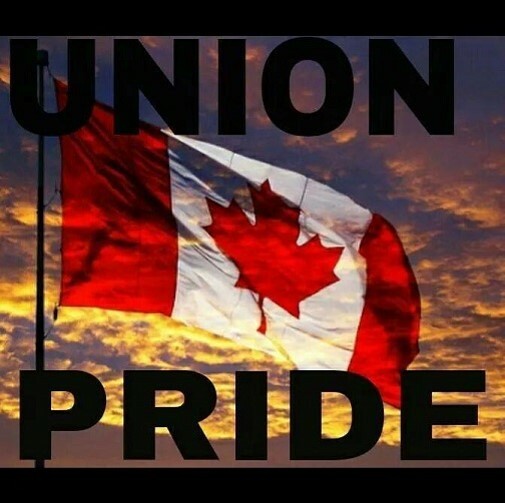 The single-payer, universal healthcare program, except for those of limitless greed and lacking in any conscience whatsoever, is held with deep pride and affection by Canadians from every corner of the Nation. Douglas’ selection, without a doubt, was the appropriate choice. More than appropriate, the choice of Tommy Douglas proved a continuum of what Canadians, even if many of them no longer know it or feel it, believe as the most formative and foundational of all that we are, a nation of liberal and social democracy that is embedded in a national identity that wants us all to prosper and to enjoy the collective well being of the nation and all of us. Canada as a nation is a Grand Compromise. The joining of massive geography, strong regional and historical identities and people with an intrinsic understanding of what works best for all of us. Proudly, this compromise builds us all up and is fundamentally unchanged from the days Canada first connected through Confederation. Fundamentally unchanged except for this aberration of crass and ugly politics that is going to do increasing harm until the conscience of the nation sees to it that this profoundly flawed philosophy is eradicated and the liberal social democracy that has been a thread since day one firmly pushes back and resurrects the politics of inclusion and social responsibility that once again works towards the collective good. As we see the current Holiday Season upon us and passing by for another year, we are often reminded of how important it is to be charitable and giving. This spirit more than exemplifies who we really are as Canadians and shows that despite the current leaning of so many in the electorate to fall in with harsh and unfair political philosophies, our true selves as a nation lies on the road that embraces fairness and kindness, or as Jack Layton said, “My friends, love is better than anger. Hope is better than fear. Optimism is better than despair. So, let us be loving, hopeful and optimistic. And we’ll change the world.” As we examine the contradiction between the harsh and unfair realities of Conservatism and Neo-Liberalism and the socially responsible building blocks of Canada it is only a matter of time until we collectively dismiss the Fords and similar ilk along with their corporate keepers and adopt or re-adopt that which Jack Layton, Tommy Douglas and our history foretold about us. We can do better. We deserve to do much better. This entry was posted in Uncategorized on January 5, 2019 by greybrucelabour.